If you are interested in finding ways to prevent your life from becoming monotonous in your golden years, there are a number of things you can do. Finding ways to have fun and to keep boredom at bay is actually very important because this will not only improve your quality of life but it can also have a large impact on your overall health. Many home health services in Columbus, Ohio can also help you find the time and the means to do the more important things in life. A great way to keep life interesting is to find a home health agency in Ohio. These agencies can do a lot for you. They offer personalized care services designed to improve your health and quality of life. These services can even help free up some time and energy that you can use towards the things you actually want to do. This can help you continue living the lifestyle you love. One of the best ways to keep boredom at bay is to simply find a hobby. There are many different kinds of hobbies you can do, so you will want to find something that you are passionate about. A hobby can help you feel productive and it will give you something that you can look forward to every day. This can improve your quality of life and make sure that it does not become monotonous for you. Exercise is a great way to have fun. At first, it may be difficult and feel like a chore but the more you do it, the easier it will become and the more enjoyable it will be. There are many different kinds of exercises you can do but walking or jogging is a good place to start. You will find that you are enjoying your workouts and you will also be improving your health at the same time. 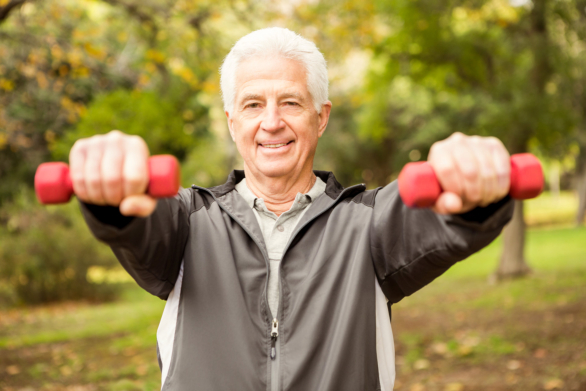 A good home health care in Columbus, Ohio can also help you out whether it’s helping you plan a work-out routine or just to keep you company while you’re exercising and ensuring your safety in the process. Those are just a few of the many things that you might want to consider when you are looking for ways to keep boredom at bay in your advanced years. If you would like to find out more about having fun or if you are interested in our services, please feel free to get in touch with Columbia Home Health Care. Do you have a friend who might enjoy reading this article? Go ahead and share our blog! This entry was posted in Home Health Care and tagged Boredom at Bay, Elderly Care, Senior Care. Bookmark the permalink.